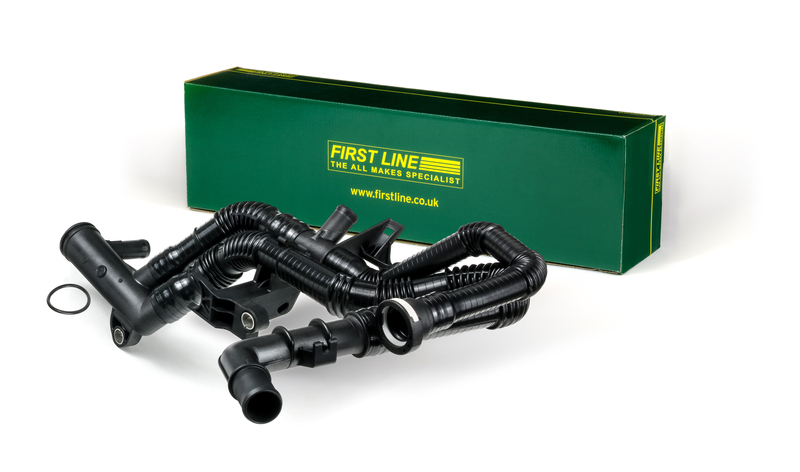 First Line Ltd is a prominent aftermarket supplier with over 37,000 references across 60 different product lines, including an extensive range of premium quality cooling components. The company is committed to the continuous development of its Cooling programme and applies its considerable specialist knowledge to research and respond to the potential demands from the service and repair sector, providing the premium quality replacement items needed in the independent aftermarket. One such component is the water pump to engine coolant hose (First Line part number FTS1127) for the 1.6-litre TD engine used in several popular vehicles, including the Ford Fiesta/Fusion, PSA C3/C4/C5, 206/207/307/308. Although, due to efficiency gains such as weight saving, it is becoming more popular amongst vehicle manufacturers (VMs) to use plastic mouldings for coolant junctions and housings, one of the drawbacks can be seen in the fact that it is not uncommon for these components to become brittle and begin to leak. This is largely because of the construction of the pipes, but can be also be as a result of the coolant not being changed at the correct interval and its inhibitor losing its potency. This potential problem can be exacerbated when technicians carry out the VMs scheduled servicing requirements, notably the timing belt change, as this belt also drives the water pump, which is another component that could require replacement. As a result, the coolant hose is subject to an unavoidable degree of handling and in its brittle condition, this can often lead to it breaking. In addition to the coolant hose, First Line naturally offers the water pump for this application (FWP2043) and recommends that technicians thoroughly inspect the coolant hose for signs of damage or wear following its replacement. In fact, in order to follow best practice and provide the vehicle’s owner with the greatest peace of mind, both water pump and coolant hose should be changed at the same time.